The cost of living in an urban city means we often have less space to play with than our suburban friends. Thankfully designers have found awesome ways to make better use of the space we have. Check out the 15 examples to make sure that you don’t waste any space in your apartment. 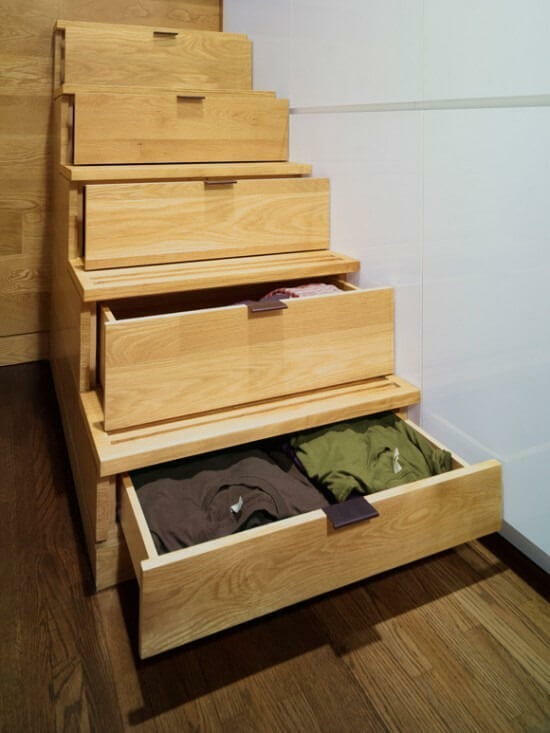 These awesome drawers are part of a New York studio apartment project by Jordan Parnass Digital Architecture and was completed in 2009. This home fitness cupboard is part of a set of furniture created by the designer Lucie Koldova in 2009. The furniture was designed to serve both the function of storage and fitness with users able to stretch, work out and shape their bodies using the furniture.